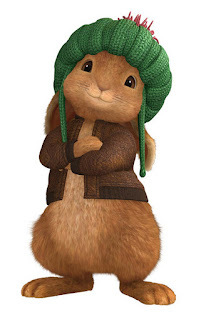 My grandson loves the Peter Rabbit and Friends cartoon and every time he watches it I think 'someday I will make Benjamin Bunny's hat!'. 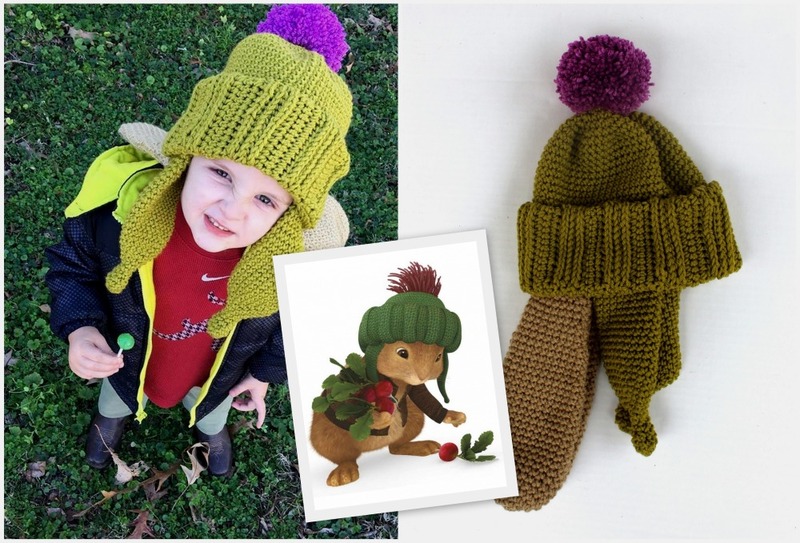 Being a much slower knitter than crocheter, and really wanting to squeeze in a couple of presents before Christmas, I decided to do a crochet version. The colors of my hat are not quite accurate as I had this really plush apple green that I wanted to use. The hat would look great in any combination of colors, with or without the ears. It is a very thick and warm hat, and very stretchy, so should fit for quite a while! It is very important that you make a gauge swatch before beginning this hat and adjust your hook size accordingly. A 15sc by 18 or so row swatch should do it. I measured it relaxed and unblocked to record the gauge, so you will want to do the same. I used Aran weight yarn for my hat shell, so got pretty big stitches from my hook/yarn combo. Keep that in mind as you are choosing a yarn and trying to match gauge. If you choose a Worsted Weight, you will most likely have to go up a hook size or two. 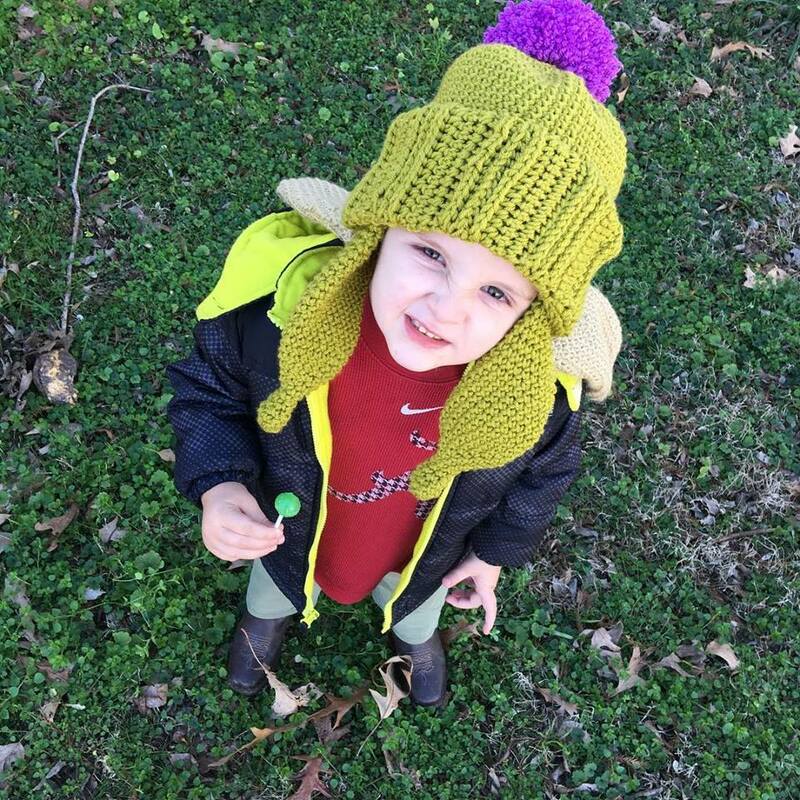 I hope you will enjoy making this hat and enjoy seeing a little one wearing it. If you run into any problems, please send me an email and I will try to answer any questions you have! I have included links below to all of the stitches used and hope that you will upload your project to Ravelry for all to see!